Col. Sani Kukasheka Usman, Abuja: The attention of the Nigerian Army has been drawn to another campaign of calumny and distraction by faceless criminal gang of economic saboteurs that hide under the aegis of Joint Niger Delta Liberation Force (JNDLF) alleging that some officers of the Nigerian Army approached them for support to overthrow our duly elected present democratic government. This is baseless and most unfortunate allegation that existed in the warped minds of the originators of such weighty allegation. The Nigerian Army wish to state that this is not true and hereby distanced itself from this weighty allegation. We also see this speculation as a dangerous distraction to our effort in fighting insurgency and other criminal elements in the country. 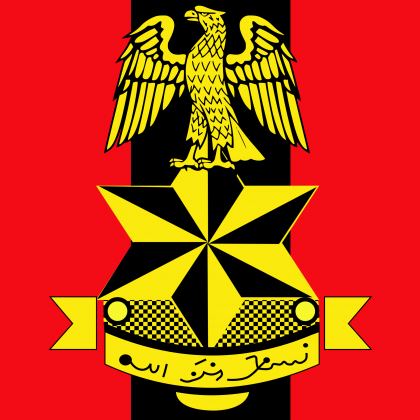 The Nigerian Army would like to send a strong and an unequivocal warning to those speculating a coup by the Nigerian Army (NA) against the Government to desist forthwith. We would like to state in clear terms that that we are a product of democracy and a focused professional institution and would have nothing to do with such abomination and treasonous and heinous crime. We wish to state further that the NA is the greatest beneficiary of democracy and therefore cannot ever contemplate any anti-democratic misadventure, certainly not under the command of the present Chief of Army Staff, Lieutenant General Tukur Yusufu Buratai. Rather, we see this type of dangerous speculation as a declaration of war to destabilise the present government by these unscrupulous elements. The Nigerian Army is investigating those behind the dangerous insinuation in order to unravel the real motive behind it. We would like to reiterate our unalloyed loyalty to the President and Commander-in-Chief of the Armed Forces of the Federal Republic of Nigeria and defence of the Constitution of the Federal Republic of Nigeria. We would also like to reaffirm our unconditional support and obedience to civil authority. We wish to further assure Nigerians and indeed all peace loving people that the Nigerian Army and indeed its personnel will never be involved in such terrible misadventure. We wish to further add that no matter how long it takes, we would track and find out those behind these insinuations and bring them to justice.